Ahead of ruling on a recent petition written by Nigerian Merchant Navy over breaches on cabotage trade by Chinese firm working on Dangote Refinery in Lekki, the Nigerian Maritime Administration and Safety Agency (NIMASA) has commenced clampdown on foreign vessels that do not comply with the provisions of the Cabotage Compliance Strategy introduced last year to ease the implementation of the Cabotage Act 2003 in Nigeria. In August 2018, NIMASA introduced a new Compliance Strategy for Cabotage Implementation in Nigeria to ensure full implementation of the Cabotage Act, 2003 to secure jobs for qualified Nigerians in the maritime sector. 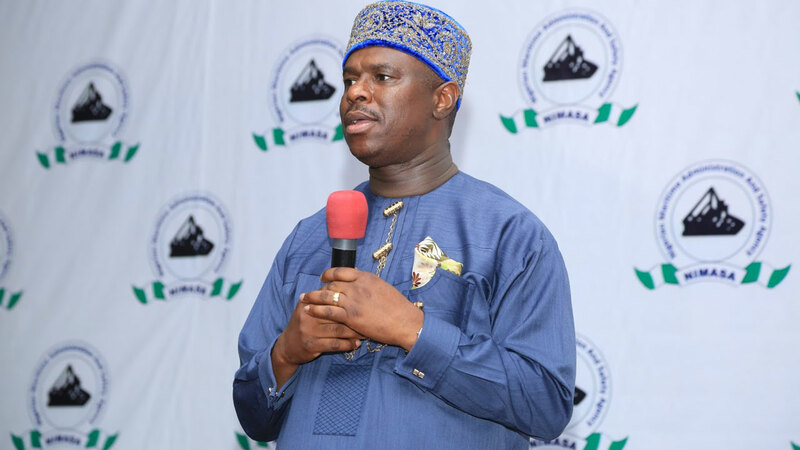 Director-General of NIMASA, Dr. Dakuku Peterside, said in a statement issued Sunday evening that “the Agency will no longer encourage the application of any form of waivers under the Cabotage Act, particularly from the oil firms operations as such does not help the growth of the Nigerian maritime sector and economy at large”. According to him, “Our laws forbid foreign vessels operating in our territorial waters save for compliance with the Cabotage Act. There shall be no sacred cow when we commence clampdown on erring vessels. We want to increase the number of Nigerians who participate in the marine aspect of your business and we are working closely with the Nigerian Content Development and Monitoring Board (NCDMB) to have a joint categorization of vessels operating under the Cabotage Act in order to ensure the full implementation of the Act”. Already, a detention order for a Motor Tanker, MT NAVIGATOR CAPRICORN, which is a Liquefied Petroleum Gas (LPG) Carrier, has been approved for contravening sections of the Cabotage Act. Business Hilights gathered that the vessel was first boarded in October 2018 and all infractions of Cabotage non-compliance were noted and communicated accordingly to the charterer/Owners representatives with a 90 days grace period to comply. The 90 days expired on the 31st January 2019. It is noteworthy that Owners made undertaking to remedy the notable infractions when the vessel was issued a detention warning in October 2018. Before now, NIMASA had led members of his team to meet with the Oil Producers Trade Sector (OPTS) in Lagos where he urged industry players to draw up a five-year strategic plan for the cessation of application for Cabotage waiver and also pursue the utilization of Nigerian-owned vessels for marine contracts.